"We are the Downworlders. We live in the downworld, chasing and devouring each other, dodging away from the Shadowhunters and fight against the Demons that escaped from their cage. We-Vampire, Warlock, Werewolf and Faeries-have to fight to sustain our life. Now, Lilith the Mother of Demon, the Highest Queen of all has returned from her long hibernation. Which means, we will be chased and hunted just for fun or suspected us to be an accomplice and have to undergo painful interrogation . We have to endure. Survive or die..."
So, about last month Ce Irene asked me to join this Mortal Instruments Make Up Collaboration. 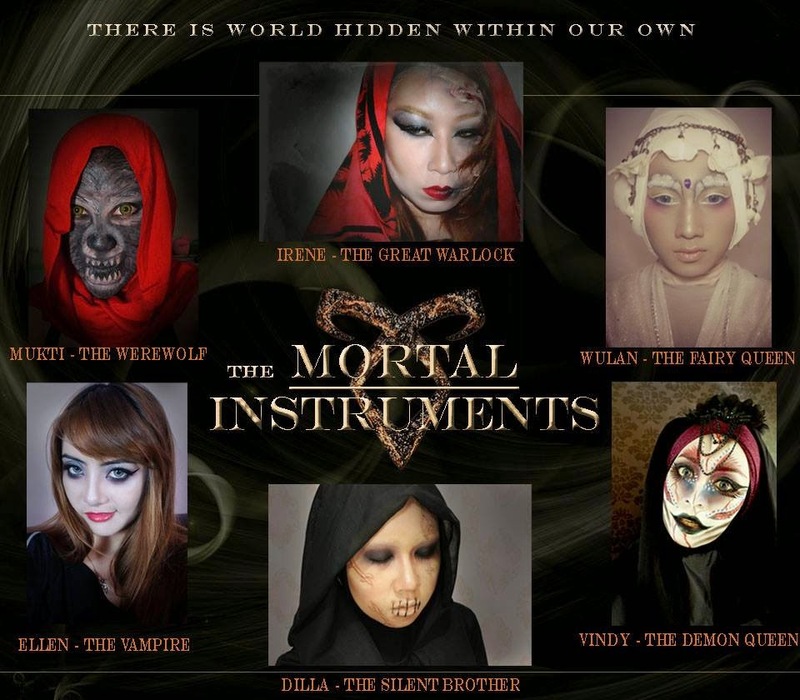 Here it is the fellow beauty bloggers' creation on Mortal Instruments characters..
Taken from shadowhunters.wikia, the Silent Brothers described as the keepers of the lore and knowledge of the Nephilim, and they are also archivists, researchers, librarians, scholars and medics. Wow, they are really something..
As reference, I used the Silent Brother illustration from makeupmag.com. The Silent Brother actually was like have no eyes or their eyes seems to be closed. So, with this make up and eyes open, doesn't really fit the whole look. My stock photos on this Silent Brother (especially the good one) was a little bit less than usual.. It was a bit difficult to deliver an exact expression that suit the Silent Brother because I can't move my lip or my eyebrows. 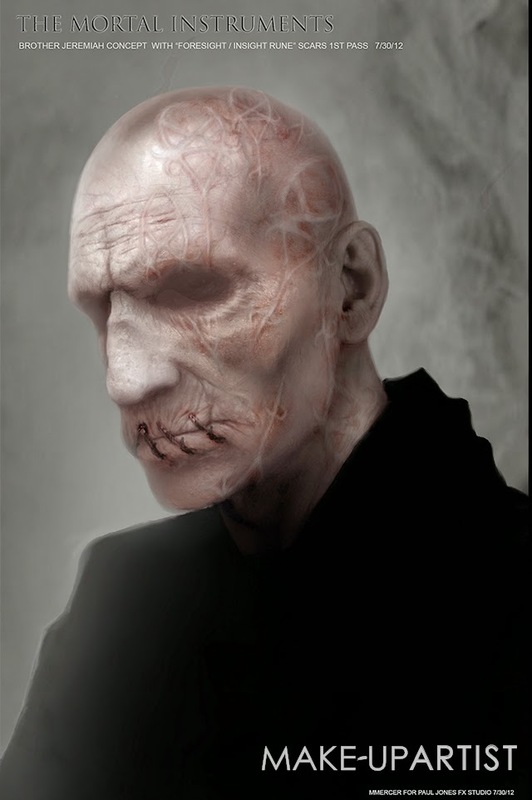 So, what do you think on my creation of Silent brother? Ngeriiiii , hebat euy bisa bikin beginiannnn . kereeennnn. dila keren!! jahitan di bibirnya rapi banget! kaya beneran! slalu merinding liat silent brother ._. Iyah, aku juga merinding pas nyari referensi gambar Silent Brother ._. tatapannya dhil.. menambh suasana mencekam.. keren makeup kali ini..